Digital transformation is the driving force behind the strategic and innovative use of technologies, and it’s already transforming how and where work gets done. 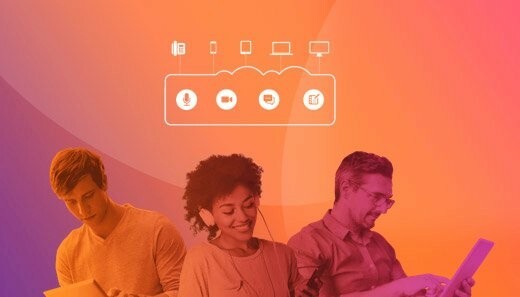 As new generations enter the workforce, IT departments are preparing to meet their expectations for frictionless, high-quality collaboration and communication. In addition to flexible workspaces and remote work options, the modern worker is demanding access to tools and platforms at any time, from anywhere. Spoiled by their experiences as consumers, they are looking for technology that enables them at work as it does in their personal lives. This mobile-first generation is saying no to desk phones and yes to apps that seamlessly work into their daily routines. This is particularly true when it comes to communication methods. Beyond voice and messaging options, the younger generation of employees wants to call upon the latest technologies to interact and collaborate with other employees, partners, and customers. Employees who are empowered to work effectively and efficiently from anywhere are more productive and have higher morale. A company that equips its employees to better collaborate and communicate can better engage its workforce talent and innovation. Organizations that support the modern worker can hire the cream of the crop from anywhere. When it comes to communications in today’s enterprises, application sprawl is rife. CIOs report use of multiple applications for voice and video conferencing, messaging, and screen sharing – and that’s not including those that workers are using without the knowledge or permission of the IT department. To tame this chaos, IT leaders are rethinking IT’s role in the employee experience. Forward-thinking CIOs are proactively championing modernization initiatives in the enterprise to drive digital workforce transformation. Leading with unified communications is often the first, and simplest, step to putting their plans into action.